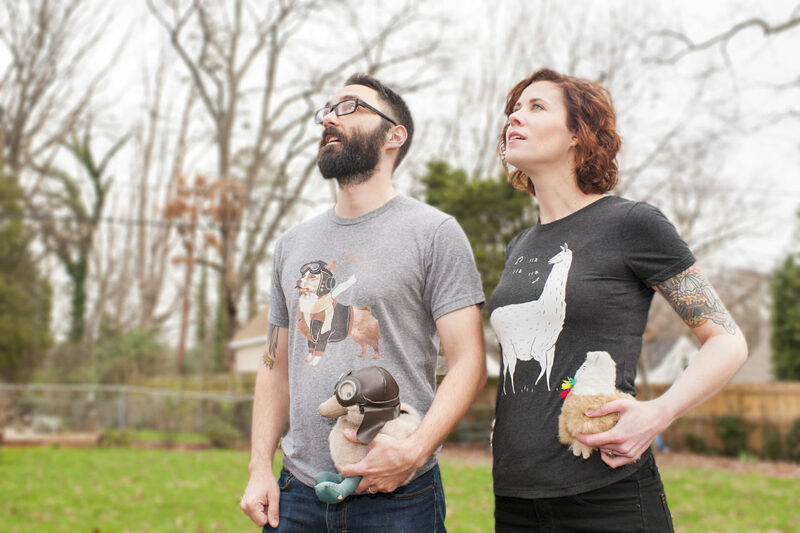 For the past 11 years, this couple has been exchanging tees with each other for every anniversary, an unplanned tradition that started on their wedding day. We all know that t-shirts make great gifts, but this decade-long story really takes the proverbial cake! Love and relationships come in all forms, but something consistent across the board is that every relationship is hard work. Read about Lauren and Andrew’s gifting tradition and see the designs they’ve picked for each other over the years. A huge thanks to them for being super real with us and sharing their tradition, photos and wisdom. Before we got married we decided to give each other a small gift on our wedding day. Since we were both broke college students at the time, we wanted something that was fun and unique that wouldn’t cost a ton of money. 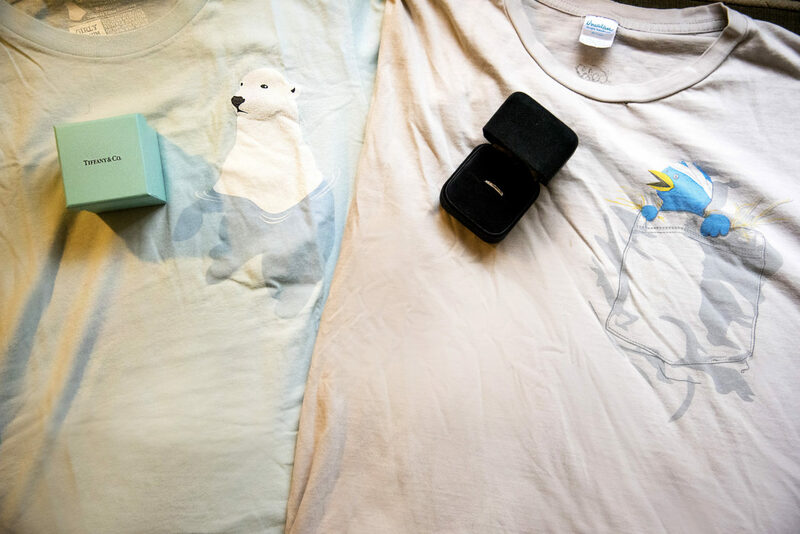 We were both fans of Threadless so we decided that we would each pick a t-shirt to exchange after the wedding. I don’t think we intended to make it a tradition but we decided to do it again at our first anniversary and it just stuck. 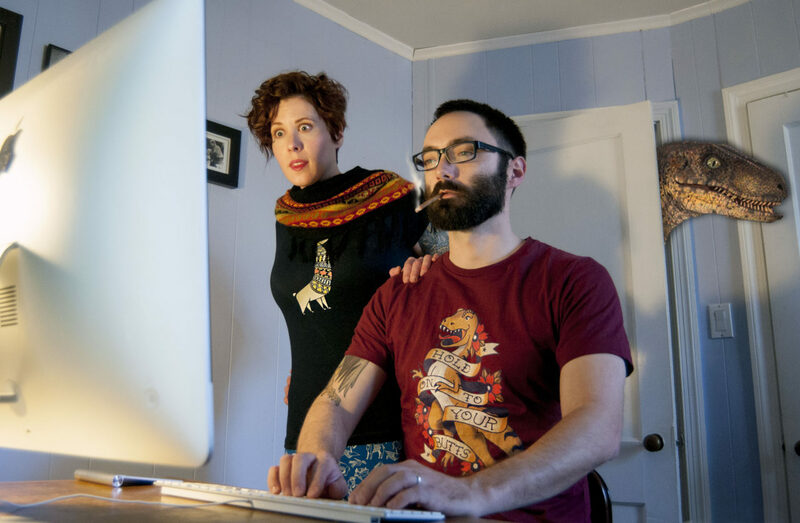 How did you find out about Threadless? I (Andrew) got into wearing novelty/graphic tees in college. I don’t remember how I came across Threadless but I probably just found it browsing for novelty shirts. I think the first shirt I bought was Pandamonium, with the giant panda fighting off tanks and helicopters. 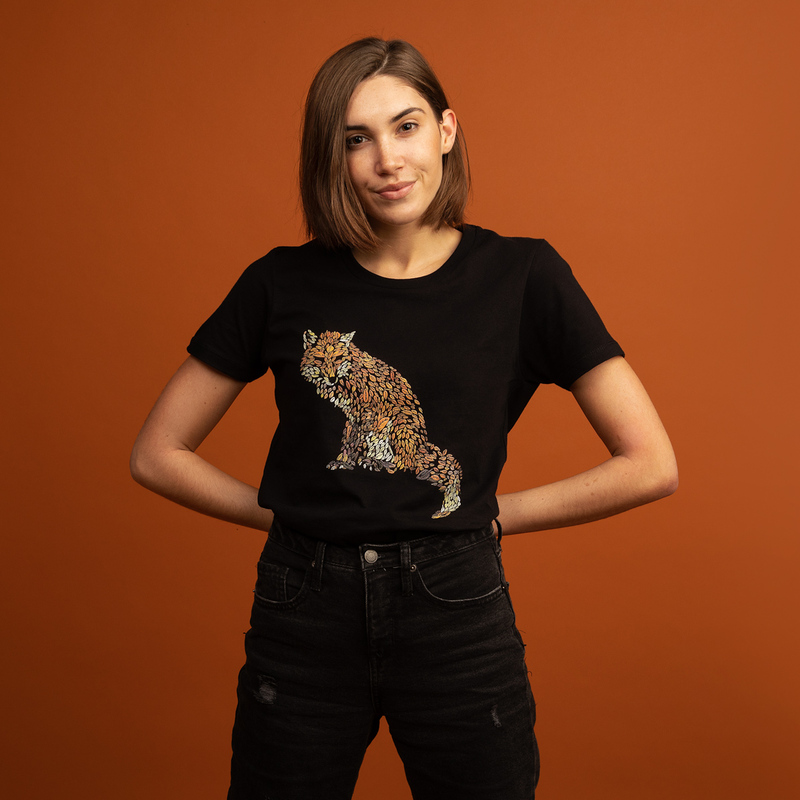 Do you have a favorite Threadless artist? Do you guys remember every tee you’ve given each other? It’s hard to keep track, there are so many now. 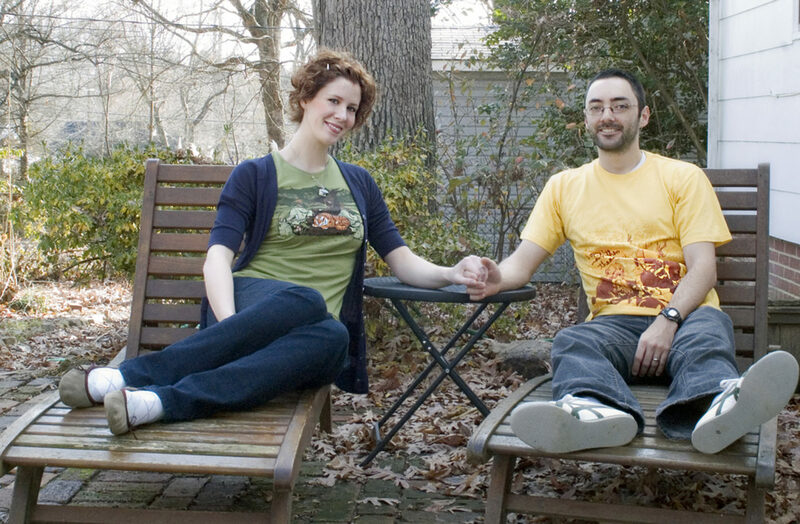 Also we have lots of other Threadless shirts we’ve bought over the years. Thankfully, we have taken a picture each year we did an exchange. Which one is your favorite to see your partner wear? Lauren is a fan of Kiwi Anatomy. My favorite of Lauren’s is Hidden Part of Icebergs (it combines two of her biggest passions in life: environmentalism and ice cream). 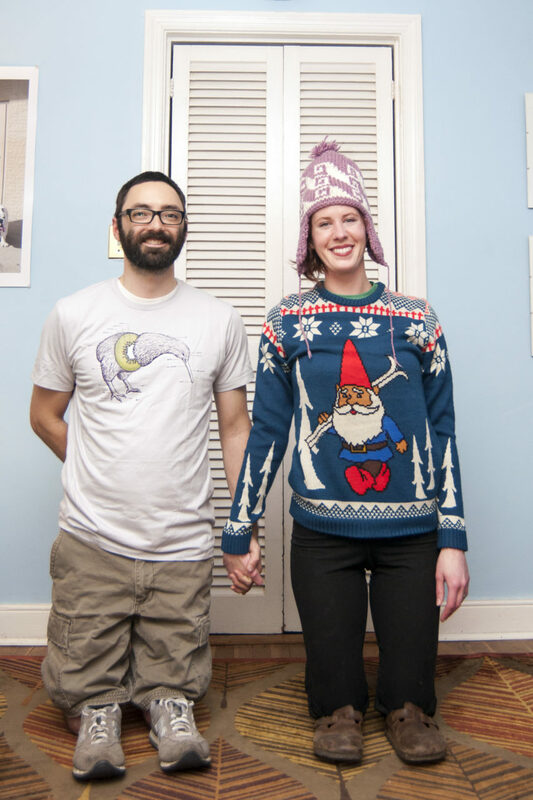 Have you taken photos with your tees every year like the awesome one you shared from this year? Almost every year. There was one year where we got shirts from other places (sorry)*. We also went through a rough patch early in our marriage and spent a year and a half separated. I sent Lauren a shirt on one anniversary during the separation and she got one for me at the next anniversary before we got back together. 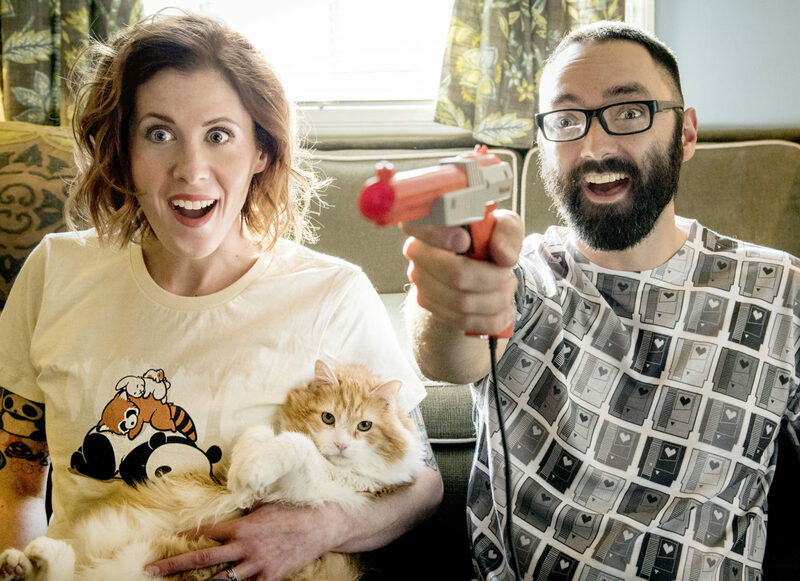 The photos were pretty standard at first but over the years we started staging more elaborate photos that tied in with the themes of our shirts. *Editor’s note: No hard feelings! We love the tradition of gifting each other unique designs and supporting Artists, no matter where you buy them from. We just celebrated our 11th wedding anniversary in December. We met in 2005 and started dating shortly after so we’ve been together a little over 13 years. Do you guys have Valentine’s Day plans? Well we usually keep it simple on V-Day, and since we have a one year old now, going out and staying up late doesn’t happen all that often. We’ll probably find a rom-com to watch on Netflix (perhaps Wedding Singer or Groundhog Day) and definitely have some wine and chocolate. Relationships are tough. You have to keep working at it day after day. We have found through all the hard times that a little forgiveness goes a long way. Learn to love each other in spite of all your faults, be open and honest, put the other person first, and when you screw all of that up be big enough to apologize. But even more importantly always be willing to forgive each other. And always believe the best in each other. 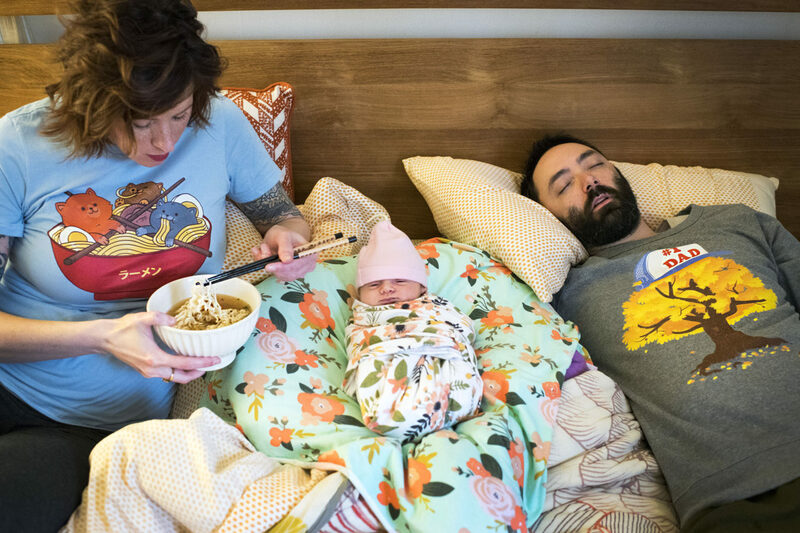 Inspired to start a new “anniversa-tee” (I apologize for this pun) tradition with your partner or your best friend this year? Let us know in the comments! Now go and spread some love. Social Media Manager @ Threadless. Question asker. Wannabe hiphop dancer/cicerone. 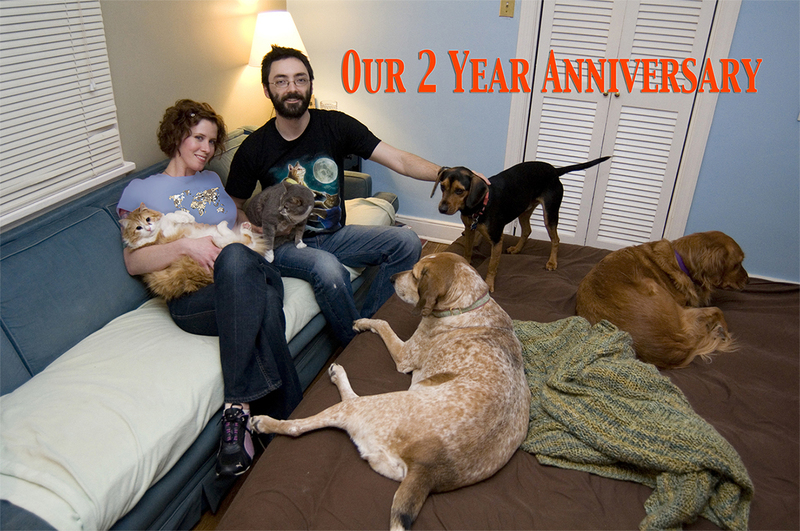 Posted in Fun Stuff, Spotlights and tagged anniversary, gifts, interview, love, t-shirt exchange, threadless. Bookmark the permalink.